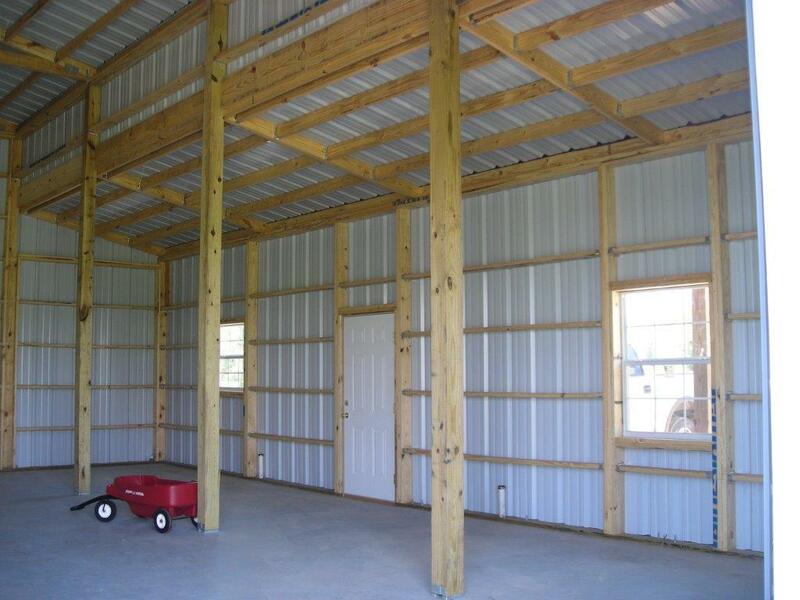 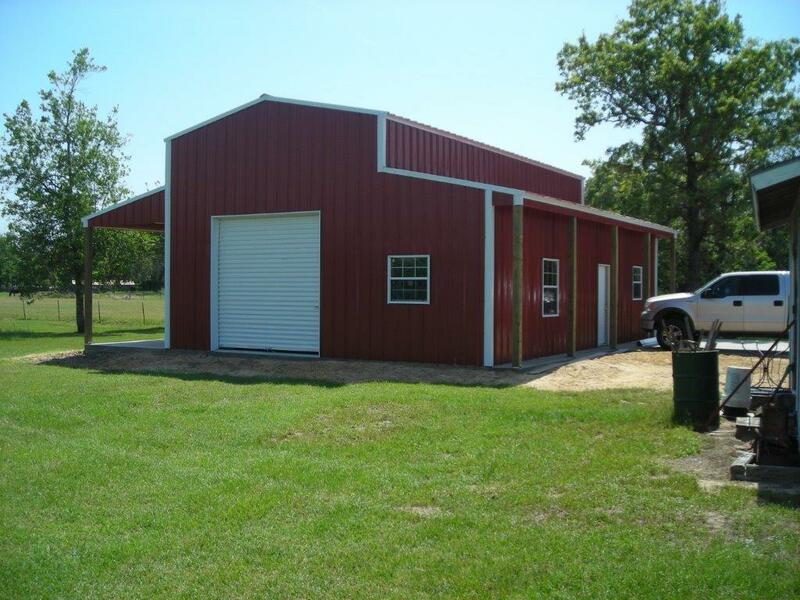 40’x36′ Raised Center Aisle Building with 10′ Eave Height. 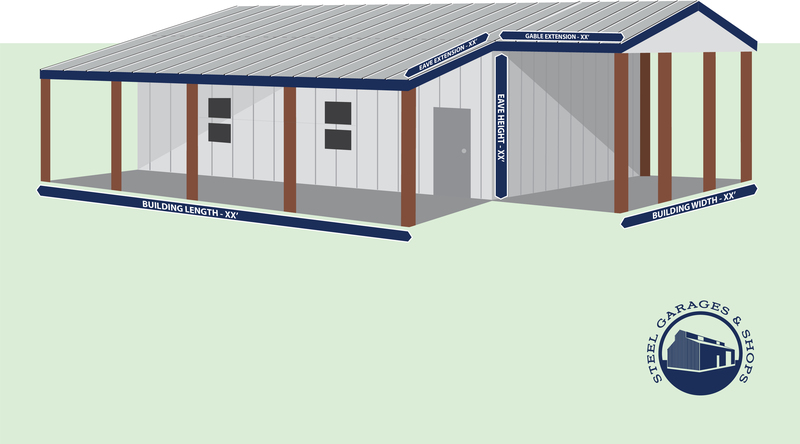 Enclosed Extension for Living Quarters and Covered Porch. 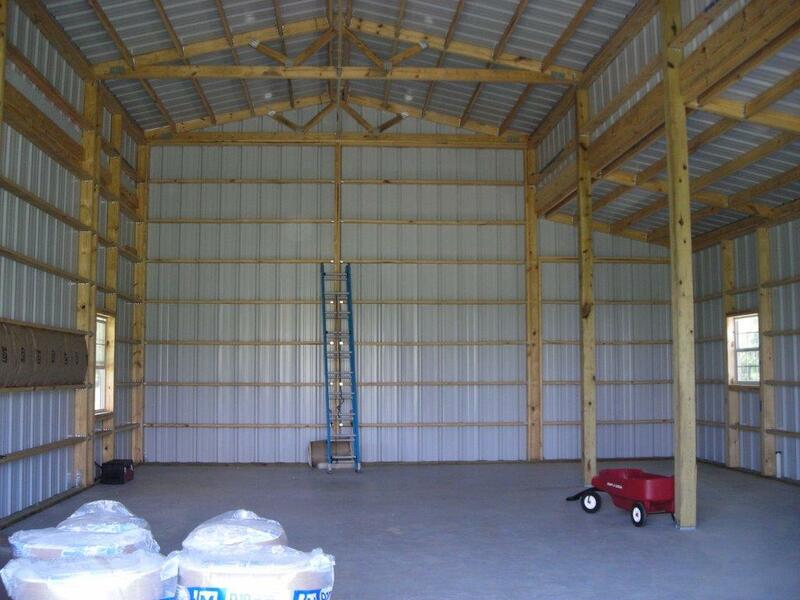 1 Overhead Rollup Door, 2 Entry Doors.